Not all roads are bad – Fashola – Royal Times of Nigeria. 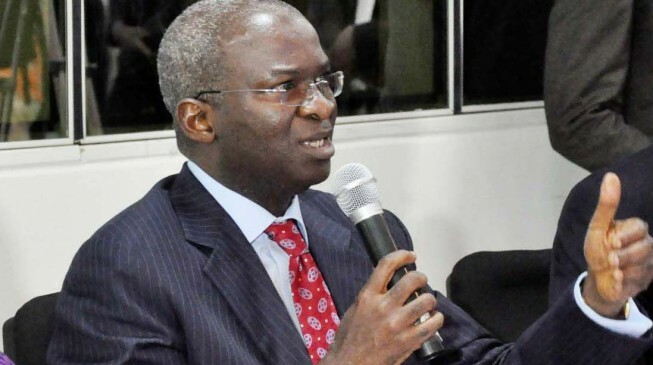 The Minister of Power, Works and Housing, Babatunde Fashola, on Tuesday, said Nigerian roads were not as bad as being claimed. He, however, noted that some of the roads had outlived their design life, some still within their design life, while others were being built. Fashola stated these in his keynote address at the United Nations-sponsored capacity building programme for the Federal Road Safety Corps in Abuja. He said roads that had outlived their design life should have been replaced and rebuilt, but they had not, and named the Calabar-Itu-Odukpani road as falling within this category. The minister said, “They were built in the 1970s, and not only have they outlived their design life, they have had to deal with tonnage and capacities well beyond what their design intended. Can such a road be truly expected to stay intact and deliver a pleasant motoring experience? “As for the second category, the roads had been victims of overloading, right of way abuse, and lack of maintenance as depreciation sets in. “Members of the public must know that roads are depreciating assets. They do not last forever and require regular maintenance and, with time, replacement, if they are to serve their intended purpose. These factors of abuse and lack of maintenance combine to reduce the quality of our motoring experience on the roads. “I undertook a tour of our roads earlier this year to see things for myself. We went by road and travelled in two buses, driving for at least 12 hours every day. We left at 8 am daily and drove until 8 pm at the least. On one occasion, we drove for 18 hours, from 8 am to 2 am the following day.